A young boy asked if he was on the right bus route to a casino on Boulder Highway. Veronica Adwell, the driver, guesses the boy was about age 8 or 9 years. Adwell, 36, was working overtime for bus company Keolis, driving the Boulder Highway route when the boy stepped on her bus. Later that night, around 11 p.m. or midnight, when she switched to the Maryland Parkway route, Adwell saw the young boy again. She had originally picked him up around noon. The next day, Adwell was driving her normal route on Sahara Avenue when she saw the boy again. This time, she took action and called her supervisors. The child told Adwell he was a runaway and his parents were drug addicts. He was going to go live with his uncle in San Francisco who could take care of him as soon as he got to the airport. 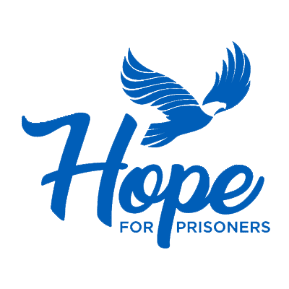 Hope for Prisoners is looking for 500 people to donate $25 a month for a year, equaling $150,000, 12 one-time donors to give $12,500 raising another $150,000, and two more donors to pledge $150,000, totaling $600,000. If the nonprofit raises $600,000, another donor agreed to match those funds. The boy was reported missing for two weeks before Adwell intervened. The situation hit home. Two years before, Adwell was a recovering drug addict herself and re-entering the Las Vegas community after her second time in prison, this time for stealing a car to sleep in when she was homeless. She was on parole. This time, a parole officer enrolled her in Hope for Prisoners, a nonprofit group that helps former offenders return to society after exiting the penal system. Without the program, which boasts a 74 percent job placement rate and hundreds of success stories, Adwell would not have been able to help the child. The Regional Transportation Commission of Southern Nevada on Thursday awarded Adwell with one of its Las Vegas Fixed Route Transit award for her actions. It is the highest honor a mechanic or operator can receive. The nonprofit addresses barriers that former offenders face when re-entering the community through four focus points: employment, housing, transportation and family reunification. They do this through partnerships, whether that is between former offenders and mentors, or between the organization and other agencies like Metro Police. That partnership caught the eye of the White House, which is looking to the Nevada program as a model for other states because of its partnership with law enforcement. The program expanded to Wisconsin and plans to expand to more states. “Not only is it helping men and women view law enforcement from a different perspective, but on the other side of the equation it’s helping law enforcement begin to look at the men and women who are coming home from prison who are truly fighting for a second chance from a whole different lens,” Ponder said. Ponder, a former prisoner, founded the nonprofit in 2009 because of his own experiences. When he exited a maximum security federal penitentiary and returned home, he wanted to help those in a similar situation. The program fills a void as Nevada’s imprisonment rate is 15 percent higher than the national average, according to the Department of Justice’s 2016 National Prisoner Statistics. Clark County follows the state’s trend with prison admissions increasing by 16 percent since 2013, according to the Crime and Justice Institute’s Advisory Commission on the Administration of Justice report for Nevada. More than 2,400 have graduated from Hope for Prisoners, with more than 300 trained mentors guiding former offenders. The program also reunited Adwell with her teenage daughter. Hope for Prisoners hosts a graduation about every month, including at 4:30 p.m. today at Metro Police offices, 400 S. Martin Luther King Blvd, where 32 men and women will be graduating from the first part of the program. Graduates will participate in an 18-month mentorship and extensive case management to ensure that they’re doing well. One of the requirements of the graduates is to go back to Hope for Prisoners and share their stories of triumph. Adwell will also be speaking at the graduation ceremony, sharing her story of recovery and help inspire people who are graduating to stay on the correct path. “Hope for Prisoners gave me the tools that I needed to get back to the person I used to be before I ever got involved with drugs, before I ever got involved with abusive men, and it gave me the hope and the confidence I needed to know I was never going to give up and go back to that life,” Adwell said.